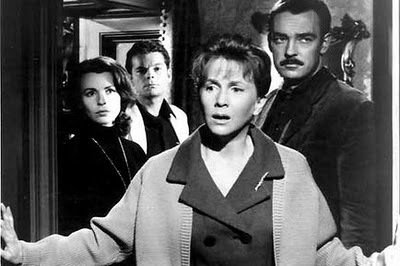 Despite her long list of critically acclaimed roles, I think the one I loved most of all was as Eleanor in The Haunting, (1963) with Richard Johnson, Russ Tamblyn and Claire Bloom. 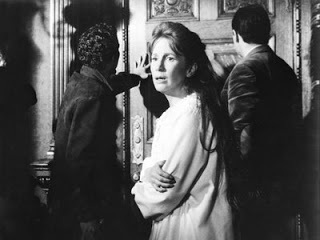 Robert Wise directed the adaptation of Shirley Jackson’s novel, The Haunting of Hill House. 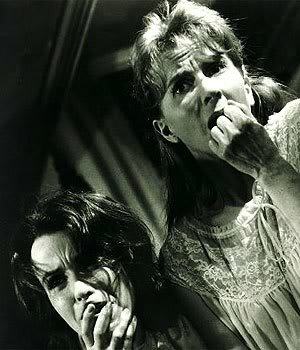 I love ghost stories and this is one of the best, but Harris captivated me as the shy Eleanor, a woman who had spent her life taking care of her invalid mother, who had never had the chance to really live. She touches your heart with her yearnings for love, for a place to belong. Julie was a “crow among the peacocks” of Hollywood, but she outshone then all with her beautiful talent. I’m feeling a bit sad upon hearing of her passing. I think I shall go put on The Haunting and treasure her gift to us one more time.